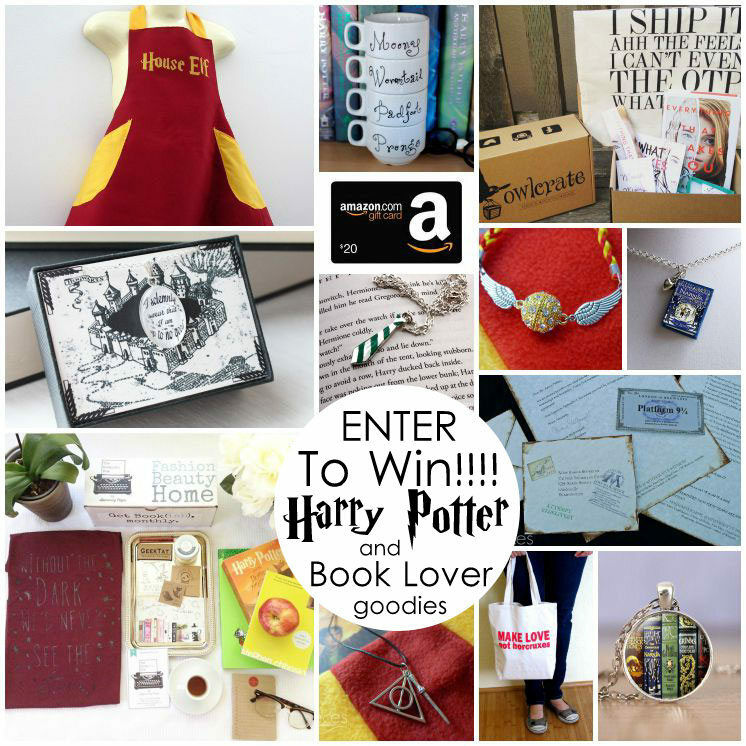 Marissa over at Rae Gun Ramblings holds a fantastic Harry Potter themed blog series each July. 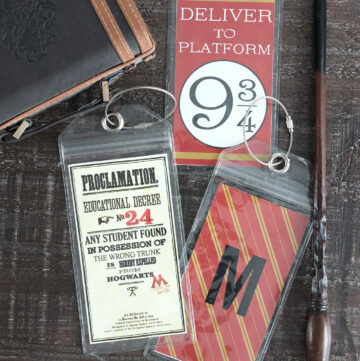 It’s full of Harry Potter Crafts, Party Ideas and so much more. 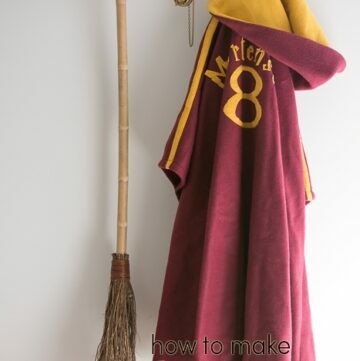 Last year was the first year that I was involved and I shared a sewing tutorial for Personalized Quidditch Robes. 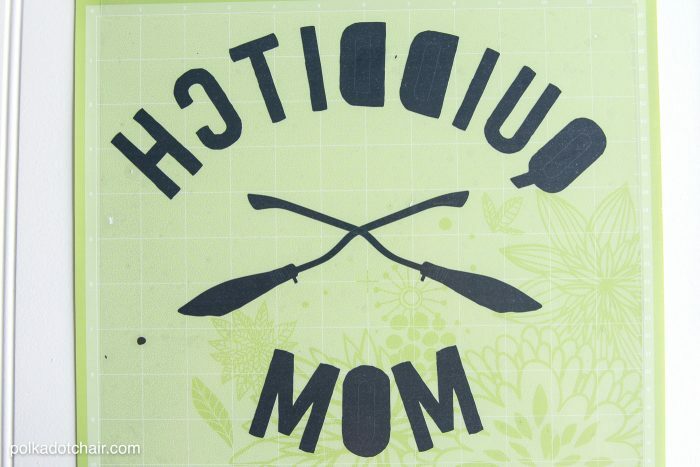 This year for my project I thought that it would be funny make something for “Quiddtich Moms” on the go. 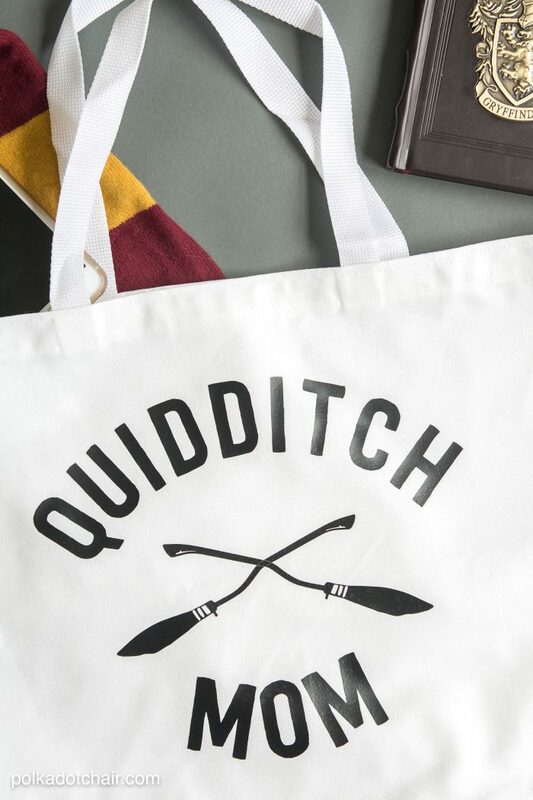 Read on for details to download a free cut file for the Quidditch Mom Tote bag and find out how to enter to win a fantastic Harry Potter Prize pack. 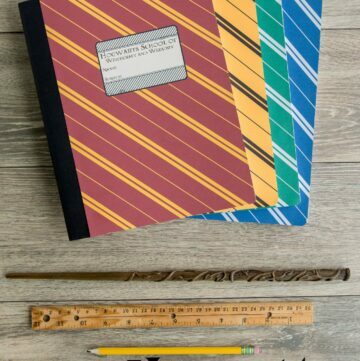 I still remember several years ago someone asking me “have you read those Harry Potter books?” It was right around the time that the 3rd book was being released and we were headed out on a road trip. In need of something to pre-occupy our time during the long drive, we picked up the first Harry Potter book on CD and listened to it on our trip. We loved it instantly, so much so that we didn’t want to stop the car because then we’d have to stop the book too! That was years ago, before 2 of my kids were born. In the years since I’ve read the books at least 3 times and we have listened to them as a family at least twice. I think my 14 year old daughter watches a Harry Potter movie at least once a week. I thought for my project for the Harry Potter series I’d make something just a tiny bit silly. 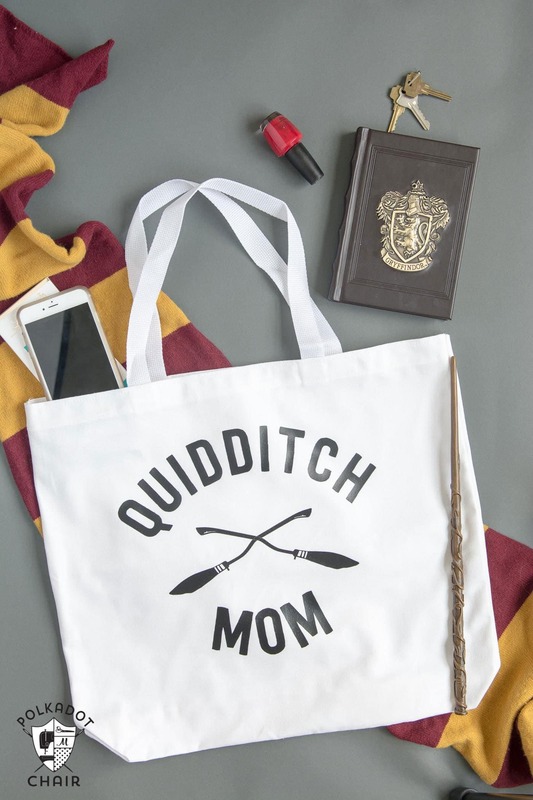 I don’t even remember when the idea of a “Quidditch Mom” popped into my head the first time, but something about it seemed so funny to me. This project is just a very simple iron on that you can cut out with an electronic cutting machine then iron onto any surface that you would like. Here it is on a tote bag but I think it would be adorable as a t-shirt too. To make the project simply download the FREE SVG file from the templates page. I used a Cricut to cut out my iron on. 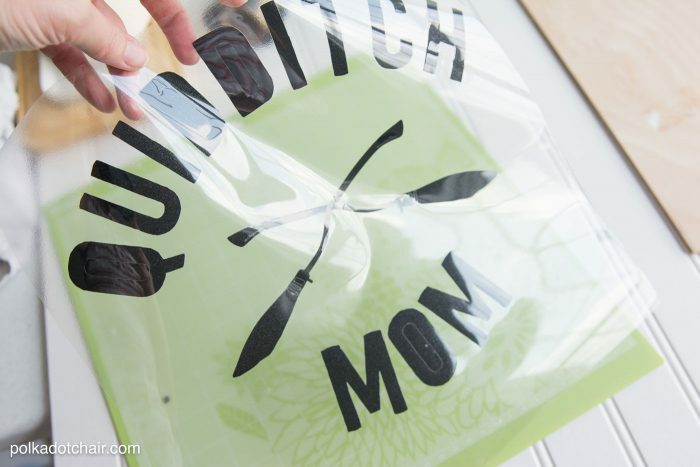 If you’re not familiar with what a Cricut is you can read about the machine and my review of it on this post. Make sure beofre you cut out the file that you reverse the image. Also when you pull the file into the Cricut work space click on all of the layers and then click “attach”. This will ensure that the decal cuts like you see it on the screen. After it’s cut peel off the negative of the iron on material, leaving only the image behind. 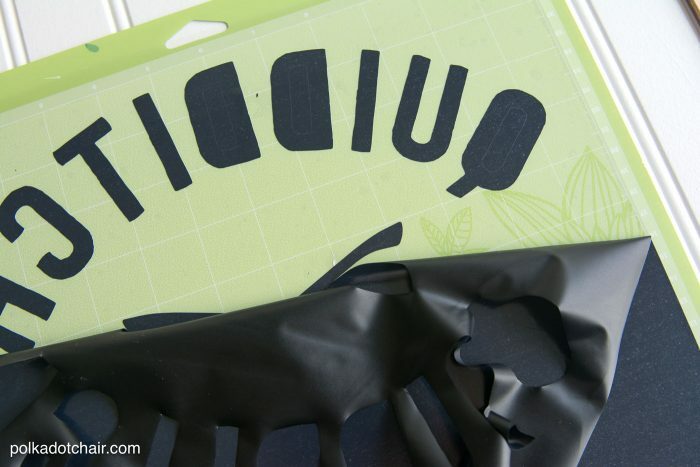 Then simply iron it onto the surface that you want to use! Easy peasy!! what a fun idea. I’m so going to make me such a bag! I love the themes of the books, love being the most powerful thing, cooperation, having courage in scary times, etc. quilt project and I know some people will get their feelings hurt. I would love to win the prize so I could possible appease them. My favorite character is Ginny Weasley (or maybe her mother!). I loved watching Ginny grow up, make mistakes and come into her own throughout the series! I love this and leaving off the mom, my son will love it for library books. I just love all your ideas on your page. 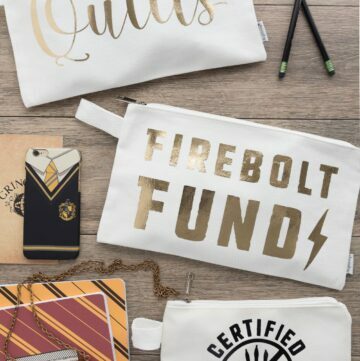 I am a avid harry potter fan along with my daughters. Love the bag. Definitely going to try this. There’s not actually a template for this one since it’s based on your own last name. Just type your name into Word in the Harry Potter font, size it as you want then print it out and trace the letters!